Amazon deal alerts and discussion thread. Can be used for when you have an Amazon related matter you wish to discuss, but don't want to create a whole stand alone thread. Can be used for the separate discussion thread requirement of the The BLF Deal Alert Thread for Amazon related postings. I ordered the 12xT6 announced in this Deal Alert Post (#582) pretty much as soon as it was made. I just received an email that the order was canceled due to lack of product availability. It shows still in stock on the product page. Thanks!! I was thinking about opening this kind of thread a few days ago, because I found out that Amazon sends to Japan as well..Not all products, and only the ones that are sent by Amazon themselves. Will keep an eye on this thread. Non flashlight related items also ok? Tools etc? Sure. Just a catch all thread for when one doesn't want to create a stand alone thread for something about Amazon. Even stuff that competes with Amazon. Amazon is a big seller of Eneloops here in the US. So if you ever have a special going for Eneloops, please let us know here too. I ordered the Ultrafire 12xT6 announced in this Deal Alert Post (#582) pretty much as soon as it was made. I just received an email that the order was canceled due to lack of product availability. Save your money.. I ordered 1 too and I just got it today, it’s definitely is not as bright as the original 12 LEDs Supernight.. even though the picture on Amazon website shows Supernight on the light, but I got Ultrafire instead. Really? The driver handles 4 or 5×26650, 16.8-20V with no problems??? For some items — can’t tell what — Amazon brings them in from a lot of sellers, advertises them separately at the seller’s price and description, but Amazon will put a general ID sticker on “that” item. For those, no matter who you think you’re buying from through the Amazon site, Amazon’s warehouse sends out the next “one of those” on the shelf. So if a China lottery is supplying a lights, and a good reliable knowledgeable seller is supplying “that same” light — if Amazon labels them in inventory as the same thing — you don’t necessarily get what you’re paying for. OK, just to clarify here so that nobody buys/fries their lights based on bad info: did you actually put 5×26650 fully charged, and for what amount of time? and it was “fine” and still works with no damage? Also what type of 26650? Protected or no? Items listed as “Used – Very Good” can vary in condition. I’ve received items where only the seal on the packaging was broken and the contents appeared to be untouched, and I’ve also received items that were DOA. DOA items can be returned at Amazon’s expense. Also, Amazon Warehouse Deals prices kind of act like a reverse auction. Prices slowly fall until the item sells. They can bounce up periodically but they fall again eventually. Edit: both items sold, and quickly. These can be shucked if you want internal. Nice info about “Used – Very Good” and pricing. Thank you. I haven't keep up on hard drives, but those look like some real good deals. Save your money.. I ordered 1 too and I just got it today, it’s definitely is not as bright as the original 12 LEDs Supernight.. even though the picture on Amazon website shows Supernight on the light, but I got Ultrafire instead. . . . Thanks for the info. Kronological is currently modding his driver in his TR-12xT6. Nothing radical. Just trying to boost the output modestly if I understand correctly. You might have the same driver. this is a great idea IMO to have an AMZN specific one, thanks! Fratrick Bateman / Kenny Powers. That’s a no go. I bought 3. They had an xre/xpe. No heat sinking. Just a ledge under the led. Next mode memory. I gave 2 to friends and direct drove 1. They seem to hold up on the stock driver. But over heat and turn blue when direct driven. Well at least they will be great for gifts for non-flashaholic family. DC Fix is finally available on Amazon. $10.99 for a roll. I browse the Edison Bright storfront on Amazon monthly. They sometimes have a good deal on Olights. 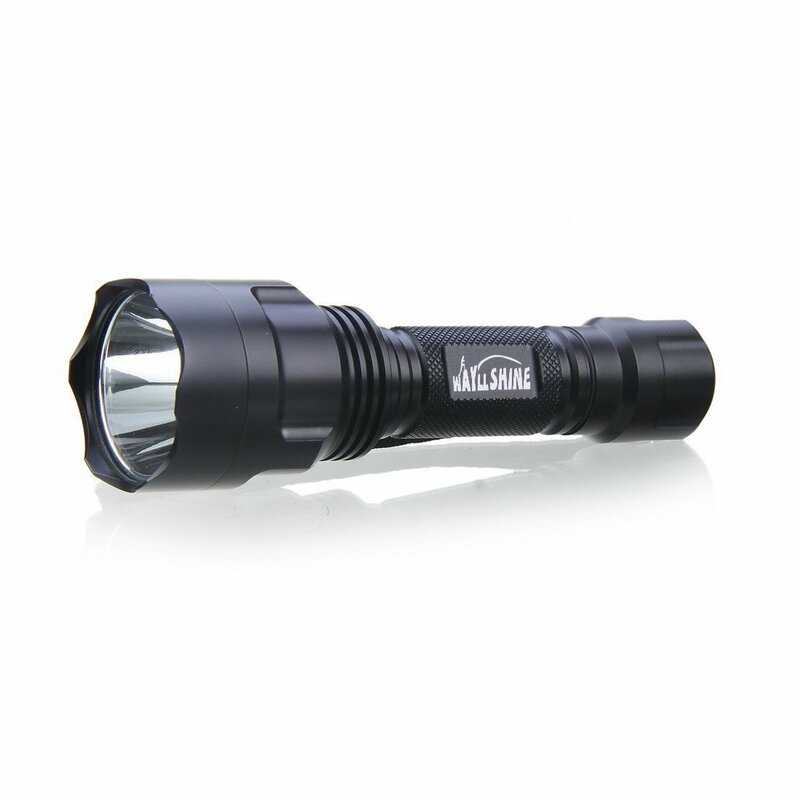 I got a Olight M20S G2 for $29.95 shipped last week. It went up $10 this week. Made in Japan. Alleged to possibly be rebranded Panasonic/Eneloop cells. $10.49 for eight. Be aware that the Anker USB portable battery boxes sold through Amazon list their capacity at 3.7V so the effective true output capacity at 5V is closer to 70% of the claimed mAh capacity. Checking around this seems to be an industry standard for virtually all of these portable USB power sources. I think it is deceptive advertising as I have yet to see a product listing which notes that the capacity listed is based on mAh at 3.7V battery capacity rather than at 5V output voltage. I want to know useful output capacity at 5V, not the capacity of the batteries in the box. IMO even worse than ANSI flashlight run time being to 10% of output and throw distance being to a light level which can only show highly reflective objects. UniqueFire UF-T20 zoom. Too late for Xmas as shipping from China but as good a price as I have seen for this light. Great price on a mod host for dedomed XP-G2/driver… if this version has the glass aspheric lens. I believe many of the later versions are plastic, but the amazon reviews didnt confirm. I do not share your opinion. While I would like to see more comprehensive data from the manufacturers and sellers of these packs, I do not think that what you’re seeing here is worse than the ANSI runtime standard, or particularly terrible really. Like a battery, actual available mAh will depend on load. At full load mAh should tank pretty spectacularly. At lower loads it will be much higher. Asking for the current [potentially] misleading single number to be replaced with a different potentially misleading single number is pointless. At least we know where this number comes from (it is directly copied from the cell manufacturer). Even if you specify test conditions a “mAh out” number would be mostly worthless. Without the spec, entirely worthless – it would have less merit than the currently advertised numbers IMO. wight; I see your point but none of the USB battery power boxes seem to clearly state in their specifications that the capacity listed is at 3.7V. I noted it because SOME units list it on the power unit itself. As for changing capacity with different current draws most such units, except the highest power ones, are limited to outputs between 1 and 2 Amps at 5V and per HKJs 18650 battery reviews most decent batteries have quite close to the same capacity until the current draw becomes quite high. My major objection is not so much that they specify things the way they do but that they carefully DO NOT MENTION that the capacity is listed for 3.7V as it seems apparent, based on customer reviews, that many are thinking that the capacity being listed is output capacity @ 5V. The capacity specifications listed are incomplete as long as the voltage involved, or the theoretical watt hours capacity, is not listed. One unit I have actually lists voltage and watt hours but only on the device itself, not in the Amazon listing. Not even a statement any where that the capacities listed are battery capacity rather than output capacity. Give the customers full information on tech devices so the technically educated ones can make informed purchases with full knowledge of what they are getting. When it comes to output currents, this is where it may get trickier than you realize. The batteries will be fine at 2A, 3A, etc – they don’t sag at all. [Especially since they are in parallel of course!] The boost circuit? Not fine. Trying to get 2A or 3A @ 5v out of a bank of cells which is at less than 4v gets some pretty low efficiency out of those boost circuits I think. I’m assuming that’s where your most significant variations will be between chargers. That said, I’m not the most educated person on this subject so I’m happy to be proven wrong about the efficiency tanking. I’ve been using these types of lights for years now. This is the cheapest I’ve seen them.